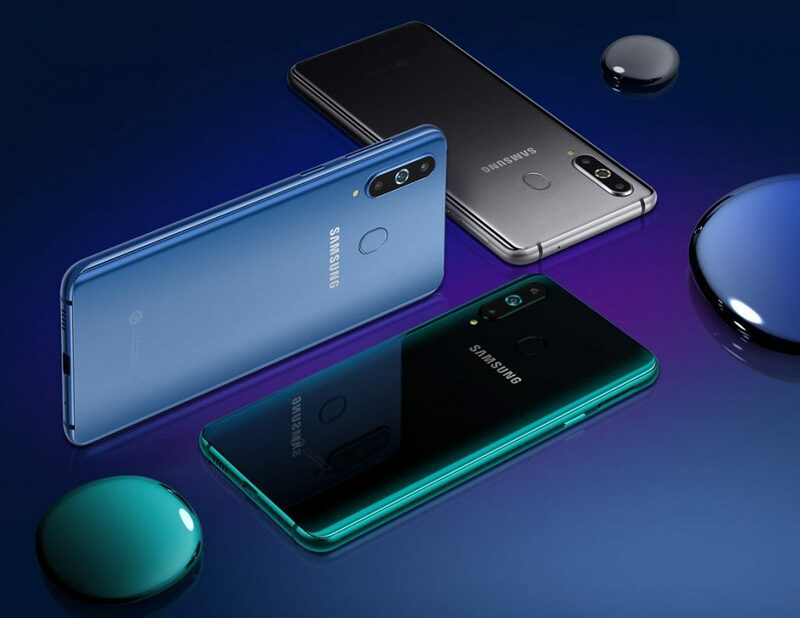 Samsung has officially launched the Galaxy A8s smartphone in China. The company’s latest mid-range smartphone comes a unique display holde design which the company calls Infinity-O display. It sports a 6.4-inch FHD+ display with a small cut out of about 6.7mm in size for the front camera. Other key features of the new Galaxy A8s include Snapdragon 710 SoC with up to 8GB RAM, triple rear cameras that include 24MP, 10MP, and 5MP sensors. It sports a 24MP front camera, comes with a glass back and packs a 3,400mAh battery with fast charging support. The Samsung Galaxy A8s sports a 6.4-inch FHD+ (2340 x 1080 pixels) 2.5D curved glass display with 19:5:9 aspect ratio. It is powered by a Snapdragon 710 10nm processor with Adreno 616 GPU. Memory wise, it packs up to 8GB RAM and 128 GB storage. The storage is expandable up to 512GB via micro SD card. The smartphone runs Android 8.1 Oreo. The Dual SIM phone has Dual 4G VoLTE, Wi-Fi 802.11ac (2.4/5GHz), VHT80, Bluetooth v5, GPS + GLONASS, USB Type-C, and NFC as connectivity features. It packs a 3400mAh battery with adaptive fast charging support. In terms of camera, it sports triple rear cameras with a 24MP primary camera with LED flash, f/1.7 aperture, a 10MP secondary telephoto lens for 2x optical zoom with f/2.4 aperture and a 5MP depth camera with f/2.2 aperture. It sports a 24MP front camera with f/2.0 aperture. The device packs a back mounted fingerprint sensor. Dimensions of the phone are 158.4×74.9×7.4mm and its weight is 173g. The device comes in Blue, Gray, and Green color options. The Samsung Galaxy A8s will go for pre-orders from December 21 in China. 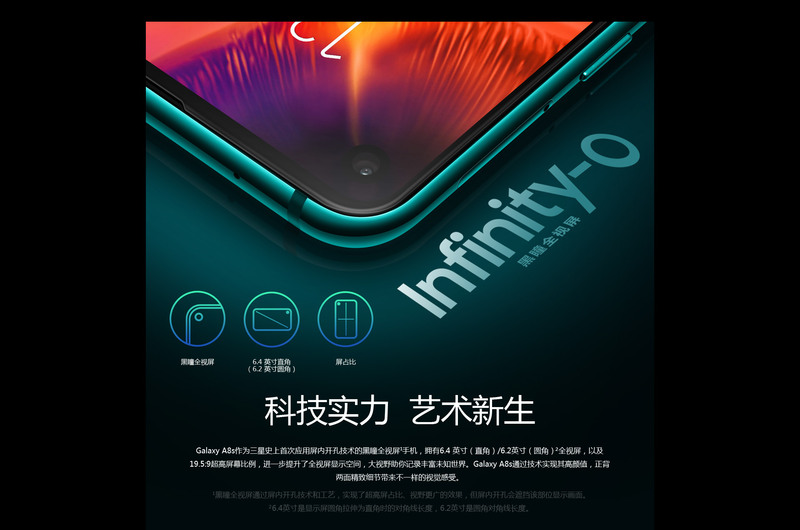 The company has not announced the Galaxy A8s price at the launch event. We will know the pricing details when it goes for sale in China.